Always in high demand, licensed vocational nurses use their direct nursing skills to care for patients under the guidance of a registered nurse or physician. They may perform specific tasks independently or assist registered nurses and physicians with complex tasks. The Board of Vocational Nursing and Psychiatric Technicians (BVNPT) requires prospective LVNs to complete the minimum training requirements and pass the NCLEX-PN exam to obtain a license to practice in California. LVNs care for patients, with acute and chronic illnesses, in doctors’ offices, clinics, correctional facilities, skilled nursing facilities, hospitals, and home health care settings. Their scope of practice includes performing prescribed medical treatments, basic patient assessment, measuring vital signs, and providing basic hygiene and nursing care. Employment of licensed vocational (practical) nurses is expected to grow 25 percent from 2012 to 2022, faster than the average for all occupations. California’s Nursing Education Programs facilitate a minimum 1,530 hours (Theory -576 hours and Clinical – 954 Hours) to equip students with the skills that afford them the opportunity to qualify for employment in clinics, hospitals, physicians’ offices, and long-term care facilities. Training includes a mandatory 54 hours of pharmacology and emphasizes nursing theory, development, and the application of learned skills to care for patients throughout the lifespan. The course content will include the following topics: communicable disease, medical-surgical nursing, mental health nursing, endocrine and gastrointestinal diseases and disorders, nutrition, gerontology, obstetrics and pediatric nursing, perioperative nursing, orthopedic nursing and rehabilitation, leadership supervision and entry into practice. The clinical experience at a local healthcare facility will reinforce the fundamentals of nursing and patient care, and working with pediatrics, mental health, home health, and hospice patients. To be eligible for most programs, you must be 17 years or older and have an official transcript of high school graduation or degree from an accredited college, and official transcripts of the prerequisite courses (anatomy, biology, chemistry, medical terminology). Applicants must pass the Test of Essential Academic Skills (TEAS) – a diagnostic test that covers basic Math, Reading, and Science. Other requirements for entry include CPR, immunization, and letters of recommendation. Criminal convictions in the past five years can affect your ability to enroll in most programs and qualify for state licensure. Upon completion of the program, students will receive a diploma that will confirm their eligibility to take the NCLEX-PN. Students who succeed on the exam will obtain a license from the Board of Vocational Nursing and Psychiatric Technicians (BVNPT) to practice in California. Graduates will have all the skills needed to function as part of the interdisciplinary healthcare team in selected healthcare settings. Duration and Cost of Training: Students should plan on spending approximately $9,500 for a 12-month LVN Program. The cost includes tuition, uniform, textbooks, and the required physical examination and immunizations. Other costs include CPR training, graduation fees, admission fees, student/lab fees, and reliable transport to and from the clinical sites. Part-time programs cost more, and prerequisite course requirements could increase the total cost of training. Financial aid and scholarship opportunities are available for those who qualify. The National Council Licensure Examination (NCLEX-PN) is the final step to becoming a licensed practical nurse in the United States. Developed by National Council of State Boards of Nursing (NCSBN), the test is available in all 50 states, the District of Columbia, and territories, such as the US Virgin Islands, American Samoa, Norther Mariana Islands, and Guam. 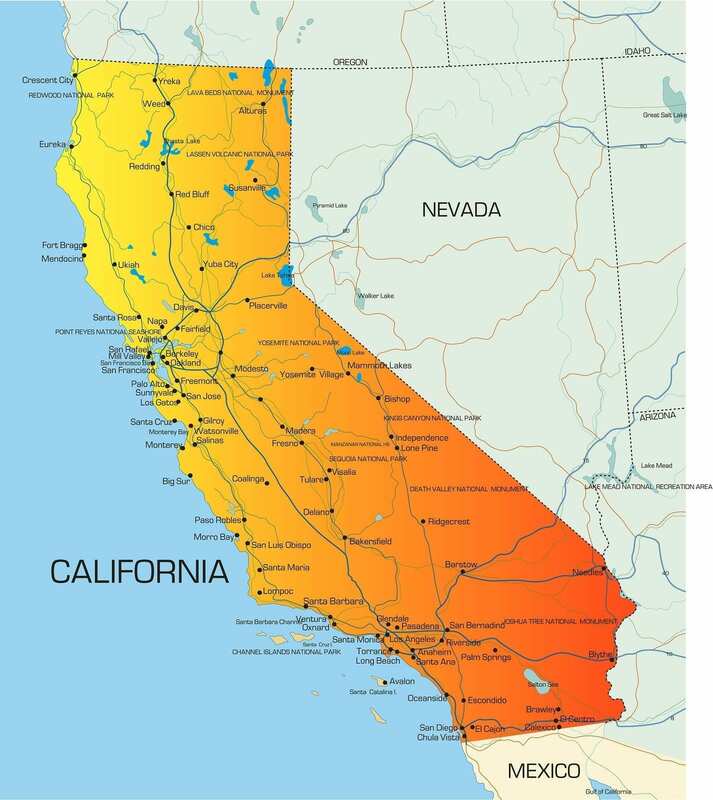 A prospective nurse in California must pass the NCLEX within the state for California licensure. Complete the registration form, attach the money order or check in the amount of $200 and payable to NCSBN, and mail the form to the NCLEX Data Center. Complete the registration form, call the Data Center’s toll-free number (1-866-496-2539), provide the details on the form to the operator, and pay the registration fee with your Visa or MasterCard. To register over the internet, go to Pearson Vue online and follow the instructions. Pay the registration fee using a Visa or MasterCard. You must submit a completed NCLEX registration, fee, and application for licensure each time you apply for the exam. The retake application for licensure by exam fee is $150 plus $200 to register with Pearson. Pearson Vue will mail an NCLEX Candidate Bulletin after the BVNPT grants eligibility to take the exam. You must register with the NCLEX Data Center within 180 days (6 months) of receiving the notification. The Data Center will mail the Authorization to Test (ATT) letter providing a list of Testing Centers. Select the center that is most convenient and schedule an appointment to take the test. First-time applicants are scheduled to take the test within 30 days of their requested test date. Notify the Board before scheduling a test date if you need special accommodations (due to disabilities) to take the test. Graduation from a vocational nursing program approved by California State. Graduation from an out-of-state vocational nursing program approved by the licensing agency. Completion of equivalent education and experience which includes 54 hours of pharmacology and 51 months of paid bedside experience as a nurse. The applicant will need to verify skill proficiency. Completion of education and experience through the US military. The combination of education and experience should include 12 months of active duty providing direct care to patients, completion of basic nursing training in a branch of the armed forces, and general honorable discharge from the military. Applicants must be 17 years at minimum and complete the 12th grade of schooling or its equivalent. The Board’s mission is to protect consumers’ health through the promotion of quality vocational nursing. As such, the Board fingerprints all licensees and prospective licensees to ensure they are safe and competent practitioners. The Board uses the fingerprints, provided using Livescan or Hardcard, for a records search through the Department of Justice (DOJ) and Federal Bureau of Investigation (FBI). An application for Vocational Nurse Licensure (55A-1). If you graduated from a program approved by the California Board of Vocational Nursing, the Director of the program must submit your application. A 2”x2” photograph with your signature on the back and submitted in a sealed envelope. The current picture should show your head and shoulders. Your fingerprints for a DOJ and FBI criminal background check. The Board cannot issue a license without the results of the background check. The non-refundable application fee of $150 made payable to the “BVNPT”. Include an additional $49 for fingerprint processing if you will be submitting hard card fingerprints. Proof of 12th-grade education in the form of a high school diploma or GED certificate. The completed and signed Record of Conviction (55A-6). The completed postcard with a postage stamp attached. Include the Record of Nursing Program and Official Transcripts (Form 55A-2) with the application. The school should complete the form and return it to you with an official transcript in a sealed envelope bearing the institution’s name. Submit the documents with your application for licensure. Submit a Record of Nursing Program and Official Transcript (Form 55A-2) with the application. The school should complete the form and return it to you with an official transcript in a sealed envelope bearing the institution’s name. Submit the documents with your application for licensure. Include a certified English-language translation if the transcript is from a school in a foreign language. Submit the Record of Nursing Experience (Form 55-A-3). Evidence of 54 theory hours of pharmacology. Submit the completed Record of Military Service (Form 55A-4). Include copies of military service evaluations showing dates of service, duties performed, and wards assigned. The service should total a minimum 12 months of active duty bedside patient care. Transcripts or “Certificate of Release or Discharge from Active Duty” (DD214) showing that you completed a basic course in nursing required by your branch of the Armed Forces. DD214 or other document showing that your service was provided under honorable conditions. File your application for examination at least three months prior to your anticipated testing date to allow time for processing. The Board takes approximately eight weeks for initial processing. Notify the Board immediately if your name or address changes while your application is under review. If you are licensed as a nurse in another US state or territory, you will be eligible for licensure without examination as long as you present suitable proof of current and valid licensure and took the NCLEX-PN or the NLN and passed the exam. Verification of Licensure using the Verification of Licensure Form (55A-5) or the Nursys License Verification Request Form (if you are licensed in a state that is a member of the Nursys verification system). Record of Military Education (55A4A) if you qualified for licensure based on your US Military education. A copy of your current license showing the date if you are licensed in a state other than your original state of licensure. The Board will issue a temporary upon request, but only after the initial evaluation and approval for licensure – including criminal background clearance from the DOJ. The DOJ check takes approximately 8 to 12 weeks. LVN licenses expire every two years. The licensee must complete the continuing education requirements and certify whether he/she have been convicted of a crime since the last renewal. All convictions must be reported, including infractions, misdemeanors, and felonies. Convictions for traffic violations for fines less than $300 – not including infractions involving alcohol or controlled substances. The license holder must complete 30 hours of CE within the two-year period for continued active licensure. For an inactive status, you do not need to complete the CE requirements, but you cannot practice with the inactive license. Do not send the CE certificates to the Board. However, you should retain them for a period of 4 years in the case of a Board audit. There is a delinquency fee for renewals submitted later than 30 days after the license expires. A licensee can renew, with penalties, up to four years after the license expiration date. Online renewal is available for active licenses 60 days before the expiration date and up to two years following the delinquent date. Credit card payment for online renewals is processed through the Official Payments Corporation (OPC), which incurs an additional $1 convenience fee. The Board will mail the application for paper renewal 6 weeks prior to the license expiration date. The application is also available online. Enclose a check or money order in the amount of $155 payable to the BVNPT and mail to the address provided below. The fee and penalty for late renewals, after the 30-day grace period and before the next renewal cycle, is $230. Although there’s a shortage of LVN recruits in California’s workforce, new nurses are finding it difficult to find a job that does not require prior experience. More than 51% of employers report high demands for qualified nurses in spite of the growing number of new nursing graduates. The figures suggest that employers are on the lookout for experienced nurses rather than new graduates. A number of nurses delay retirement, which affect the number of new positions at the state’s hospitals. Employer expectations for new hires are on the rise, and according a recent survey, less than one-third of new hires are recent graduates. In spite of employer preferences, close to 48% of new graduates find jobs within three months of obtaining a license to practice. Of those who fail to find employment, 92% credit their unemployment to a lack of experience. One of the best ways to increase your chances of employment and gain valuable experience is to work in outlying areas and seek out opportunities in non-traditional places. The Bay Area, where there are numerous nursing schools, is one of the most challenging areas to find employment. The Affordable Care Act and an aging population will open approximately 3,560 new positions for LVNs by the year 2021. That is good news for new graduates. However, those with no experience should seek out positions in rural areas and non-traditional healthcare settings. LVNs in California earn a median annual wage of $51,700. Well I try 3 times and didn’t get placement, We need more schools.